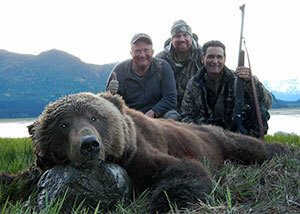 ​Thank you for a great Brown Bear hunt! Best hunt ever! Great customer service, group people, amazing trophy, and breathtaking views. I can't wait to come back for a Alaska Peninsula Brown Bear hunt soon! Thanks again for a fun and memorable hunting experience! Thank you for a wonderful Coastal Brown Bear hunt! 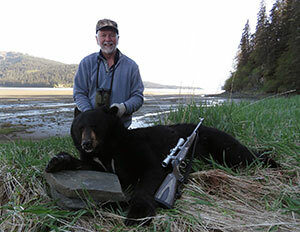 I have gone on several Brown Bear hunts in Alaska, my hunt with Mike for Alaska Peninsula Brown Bear hunt was the best. Mike and his professional guides put me on three Brown Bear stalks in one day after seeing many Brown Bear in his area. I’ll be back again soon. Thank you for a great Alaska Adventure and successful Mountain Goat hunt! Thanks for a trip of a lifetime! 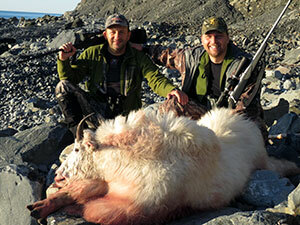 My Alaskan Mountain Goat hunt was the best hunting experience of my life. Mike and his professional guides got us on several Mountains Goats and got it done. My hunting partner and I were successful early, so Mike gave us a tour of Anchorage and even enjoyed some Rainbow trout fishing. I’ll be back to Alaska again with Mike and his outstanding team. Thank you for an incredible Alaska Brown/Grizzly Bear hunt! I had a great hunt with Mike Odin's Alaska Adventures! Besides getting a beautiful Brown/Grizzly bear, the Coho salmon fishing was fantastic too. I'm coming back to Alaska again soon. 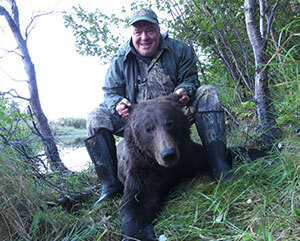 Thank you for a world-class Alaska Peninsula Brown Bear hunt! I’ve hunted around the world with many guides and outfitters, Mike and his staff are top-shelf. 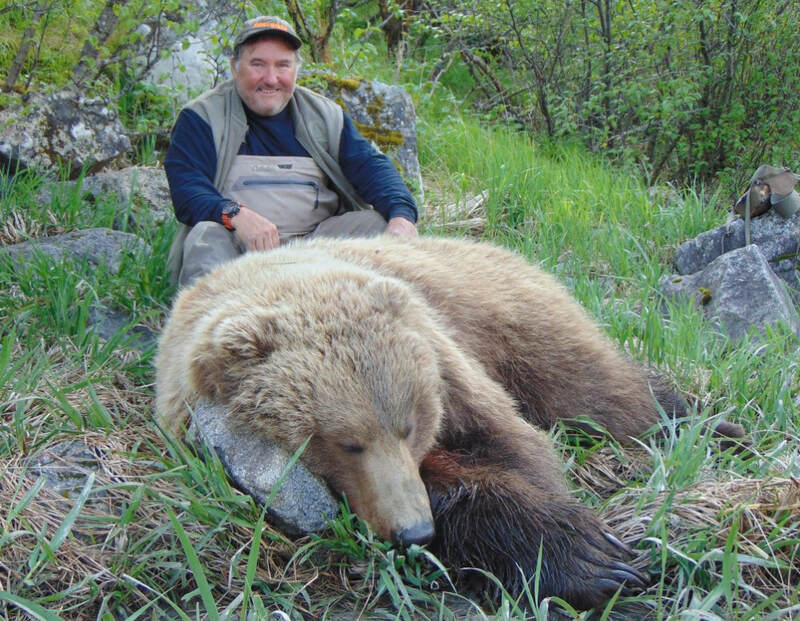 He got my son and I on two huge Alaska Peninsula Brown Bears. 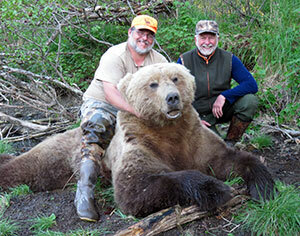 I highly recommend anyone who wants a big Brown Bear go with Mike…you’ll see a lot of bears! I’ll headed back to Alaska again. 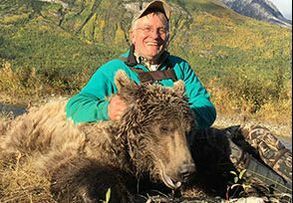 ​Thank you for a fabulous Alaska Peninsula Brown Bear and Black Bear hunt! I wanted to say this was probably the most professionally operated hunt of my life. Best customer service from arrival to departure. I have hunted on and their staff treat you like they have known you for years. I was honored to have a great guides and to be able to hunt big Brown Bear and Black Bear. It was a fabulous hunt and trip! 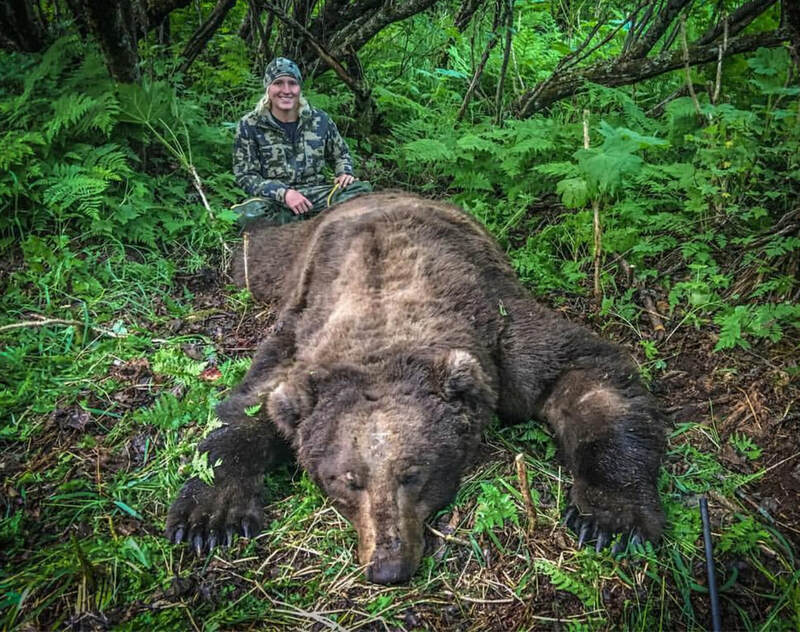 I was fortunate to brown bear hunt with Mike Odin’s Alaska Adventures in May 2018. It was just plain good fun and a successful hunt. How do I judge success? Here’s how: a beautiful location; lots of game; excellent camp location and services; food where you can actually-gain weight; guides that listen and work hard to improve all opportunity for successfully completing the hunt; and people that really pay attention to the little things. This experience went off with military precision. Worthy of note, everything that Mike described turned out to be spot on. He, and his other guides, really understood the area and worked hard to get me in a position where I could complete my goal – secure a brown bear. Equally important, the camp set up was one of the best “rustic” set ups I have had the pleasure to experience. Considering the remote area, the equipment was in great shape and everything well laid out. Where we camped and where we could “spot” were close in proximity, so all was well coordinated. The hunt itself was in a beautiful setting. Was it easy? No. Do we want it easy? No. This was a spot and stalk hunt. Considerable glassing. Bears; both black and brown where in the area. From salt/ash flats to marsh covered tidal flats, the bears were there. Weather, as it can be, presented some challenges with wind and rain. However, based on what had been recommended, I was prepared. Forgetting, for a moment, the ultimate success of taking a bear, more importantly I felt that I have new friends and experiences few will ever have. And that should be the result of a successful hunting adventure. Back to the hunt: the final stalk was a classic. We spotted the bear coming out on the flats, made-a-plan to close the distance of 600 yards, worked the wind, and got to where we had planned which left us with a shot I was very comfortable taking. We waited until I had a broadside shot and closed the deal. It truly was great fun. The real question; would I recommend Mike Odin’s Alaska Adventures? Absolutely, and I won’t recommend guides to others unless they went above and beyond for me. Mike and his crew did exactly that. It was truly a once in a lifetime experience. To protect the privacy of our clients, our reference list is made available for potential clients of Mike Odin’s ALASKA ADVENTURES, LLC. We provide references upon request to serious clients only.